I can’t prove it, but I believe the writers for Pirates of the Caribbean: Curse of the Black Pearl used apples as a strong motif throughout the movie. In the scene where Elizabeth Swann is eating with Captain Barbossa, he offers her an apple, tells her about the Aztec curse, and then offers her an apple again. Later on, when they’ve reached the gold chest, Barbossa says to Elizabeth, “You know the first thing I’m goin’ to do after the curse is lifted? Eat a whole bushel of apples.” The curse is not lifted, of course, and the story moves on. As the Black Pearl is set to fire upon the Interceptor, Jack picks up an apple and says to Barbossa, “I suppose I should be thanking you because, in fact, if you hadn’t betrayed me and left me to die, I would have an equal share in that curse, same as you.” He then bites into the apple. At the end of the scene, he offers the apple to Barbossa, who takes it, glares at it, and throws it into the ocean. At the conclusion of the film, as the pirate crew of the Black Pearl enters the cave with the Aztec gold for the last time, Barbossa is carrying an apple, and when the curse is lifted and he dies, an apple falls from his open hand. What should we make of this? Perhaps I’m seeing an apple motif where there is none; after all, wine, meat, and bread are also present in the dinner scene, and I’m only picking up on apples. I think there is reason to suspect some degree of intentionality, however. First, apples are only mentioned or seen in scenes revolving around the Aztec curse. Second, they’re mentioned at odd times, almost artificially inserted into the storyline. And possibly most compelling, the apple that falls from Barbossa’s hand wasn’t in his hand in the shot directly before (I checked). Taken together, this points to a deliberate theme. Motifs don’t just exist for the fun of it, however. What does the apple symbolize? 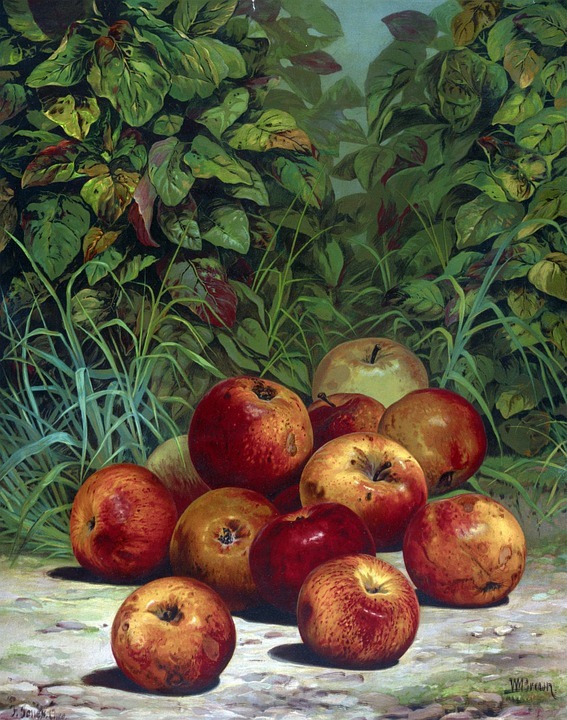 Given the conversation surrounding the “apple scenes,” I think the apple symbolizes the fullness of life denied to the pirates because of their curse. This is why there is such a hunger in Barbossa’s eyes when he offers Elizabeth the apple. Voyeurism has become a substitute for first-hand experience. It’s also why he makes the comment he does at the cave: “You know the first thing I’m goin’ to do after the curse is lifted? Eat a whole bushel of apples.” The way the pirates laugh makes his seemingly innocent remark sound dirty, and it so the apple takes on a euphemistic quality. This explains why Jack can eat an apple and Barbossa can’t. It also explains why as Barbossa dies, an apple falls from his hand. Life has been denied him at the last. Motifs don’t tell us anything new, but they can help us form an interpretive grid. The presence of a motif can give some insight into a situation we don’t yet understand. For example, after the credits play in Curse of the Black Pearl, we see a close up shot of an apple bobbing in the water, panning up to a shot of Barbossa’s body. Might this suggest that life isn’t done with Barbossa yet, that there may be another chance for him to eat the apple? The next time we see him, at the end of the second movie, he’s alive and finally eating his apple. I’ve run out of room, but I think that reflecting on well-done motifs in good stories can give us room for rich reflection on the symbols and themes that Scripture uses to communicate itself. I’m afraid everyone is reading way too much into the apples I know the answer to this question 100%. Green apples cure seasickness. I know this because when I was on a cruise and got seasick the cure was green apples and it works like a charm. So enough of reading all this deep meaning into the apples it’s purely for a stomachache.